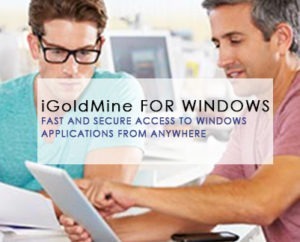 Access the full functionality of Goldmine Premium with iGoldMine. 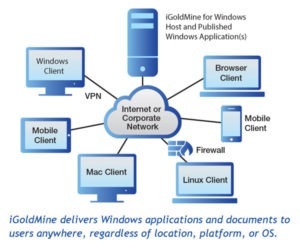 Users can connect to GoldMine’s powerful capabilities from any web connection or local area network. No hassles—just a browser and a URL. Central CRM administration – Administer one centralized CRM database from one location. Rapidly configure and deliver with the complete control of a central IT department.